Kozhikode: Heavy rain since last night isolated Munnar and inundated many areas in Palakkad on Tuesday. Wayanad continued to receive heavy rain. Water entered numerous houses in Palakkad town and many roads. Release of water from Malampuzha dam made things more complicated. Shutters of the dam were raised from 45 cm to 54. The Kalpathipuzha and Bharathapuzha were in spate. 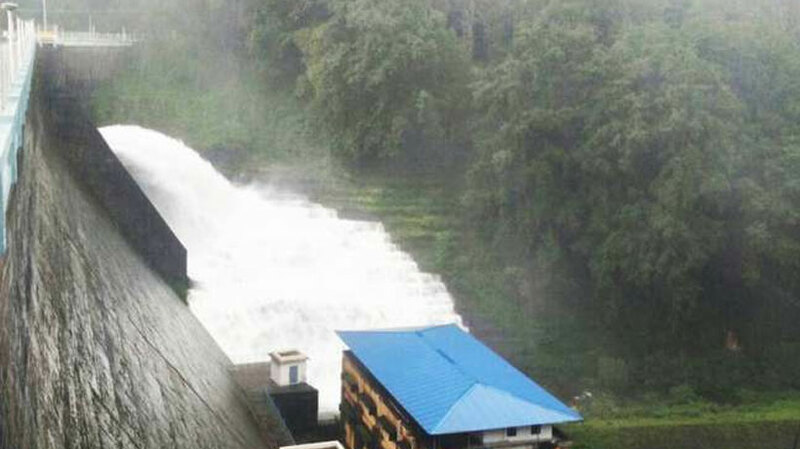 Water was released from Mattupetty dam in Devikulam taluk in Idukki as water level reached 1,599 metres today. Water from the dam flowed through Munnar, Muthirapuzha, Kallarkutty to reach Lower Periyar from where it mixed with water released from Idukki dam. Water level in Mullaperiyar dam crossed 136 ft and alert was issued by Tamil Nadu. Wayanad was under threat of more landslides in Kurichiyanmala and Makkimala hills which had witnessed similar incidents a few days back. Three shutters of Banasura Sagar dam were raised by 60 cm. There are 124 relief camps operating in Wayanad. Kozhikode has been getting heavy showers since yesterday. Water level in most of the rivers, including Chaliyaar, Muthappanpuzha and Iravazhinji puzha had gone up making flow turbulent. Water outflow from Idukk dam was reduced to 5.5 lakh litres from 7.5 lakh litres. Meanwhile, police are struggling to prevent pilgrims from across the country visiting Sabarimala for a puja. Vehicles were being stopped at Erumely and Pamba.